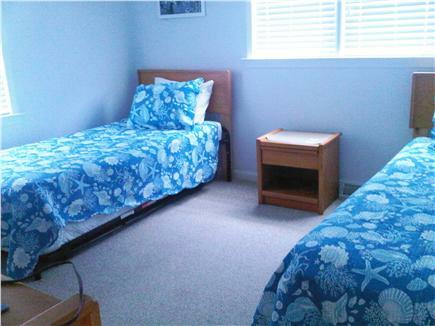 The Circle House - 2 Bedrooms, One Block from Surf Dr Beach! 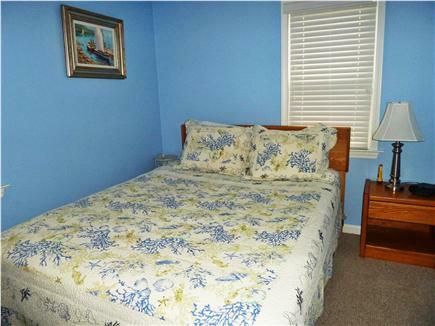 Duplex by the sea at Surf Beach! Hear the surf. Smell the salt sea air. Feel the cooling ocean breezes. 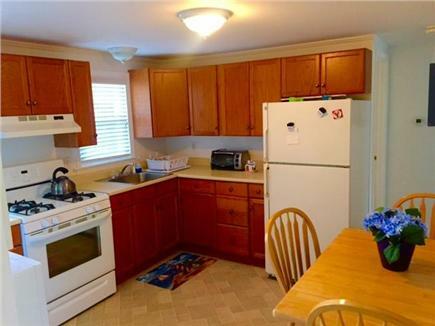 This duplex ranch offers two units which can be rented individually or as one house. On each side there are 2 bedrooms, a living room, eat in kitchen and full bath (see Property ID #22036 for the separate 2 bedroom listing). 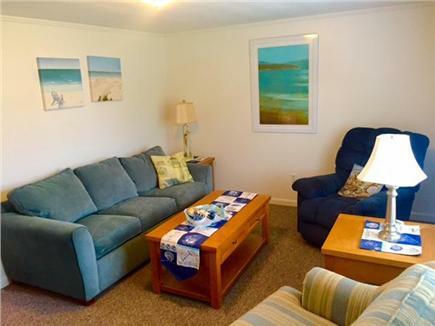 Amenities include: walk to a salt water beach with bath house/snack bar, deck/patio, outdoor shower, BBQ-grill, washer & dryer, toaster oven, microwave, coffeemaker, flat screen cable TV, DVD, high speed wireless internet, A/C. 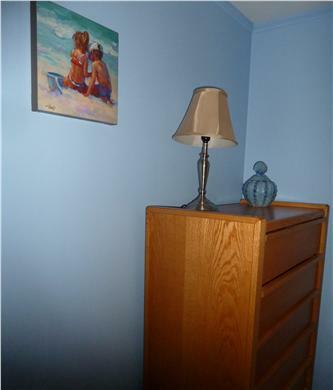 Each unit has a private sun deck to the rear with a spacious back yard and plenty of parking. Calendar prices/unit. 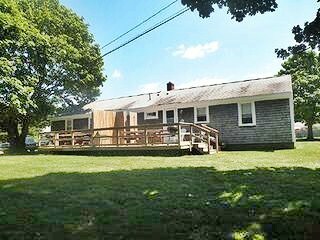 Just a short walk to the warm swimming waters of Vineyard Sound and close to the Shining Sea Bike path that will take you from Woods Hole to North Falmouth through salt marshes, ocean vistas and natural wildlife corridors. 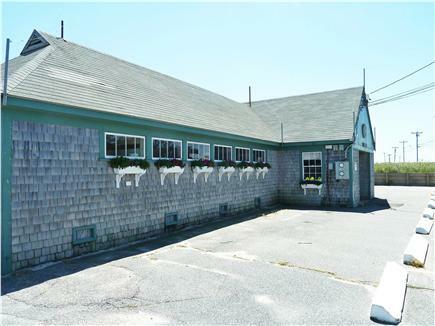 An easy stroll to Main Street shops & restaurants and ...the Martha's Vineyard ferry. No pets. No smoking. Additional pricing info: Ask for daily rate!, State and local taxes of 12.45% will apply. This is a great location for all ages. It's walking distance to just about everything! The bike trail, stores, restaurants and beach. Nice, private backyard, outdoor shower, AC, washer/dryer, all the comforts of home. Being a duplex offers friends or relatives to join you next door while everyone has their own space and privacy. Clean, beautifully decorated, and well equipped. We will be back for sure!! 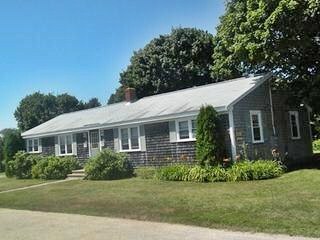 I"ve been renting summer vacations on Cape Cod since 1986 - Chatham, Harwichport, Dennis, Yarmouth, Falmouth - you name it. But my 2012 experience at the Circle House is best of all. 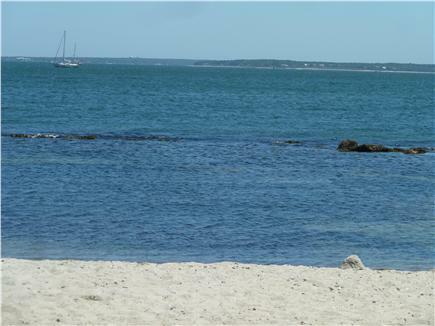 The location is marvelous - peaceful and quiet cul-du-sac, 5-7 minutes of slow walk from the Surf Beach. 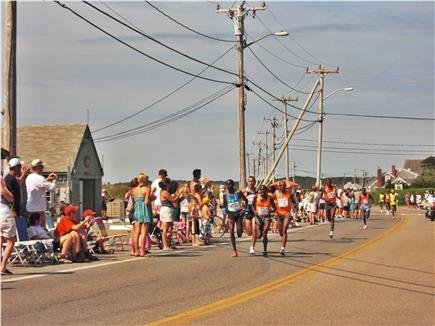 The beautiful downtown Falmouth, best shops and restaurants, supermarkets, the bike route are all within a mile. Green, well maintained backyard with huge old trees providing shade for people and home for birds. 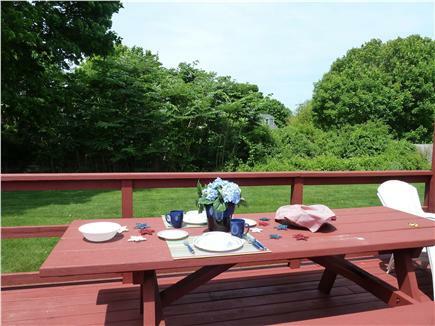 The backyard is undisturbed, hedged by the dense strip of bushes. You do not hear or see passing cars or people, only wild life. Accommodations are also extraordinary - the unit is squeaky clean, all amenities function well, on top of regular conveniences you get central AC, which came very handy in hot 2012 summer, plus Internet Service. The landlady's response to even minor tenant concerns is fast and efficient: when we mentioned that the microwave display was kind of blind, the microwave was replaced immediately. I am looking forward to many happy returns to this place. Actually by placing this comment I risk to create more competitors for myself. But being a generous person :-), I feel a need to share my appreciation with future potential renters. We really enjoyed our stay as the rental is in the perfect location, very close to the beach, bike path, downtown shopping and ice cream shops. We cooked several meals in the fully equipped kitchen. On a hot day the AC was a wonderful amenity. Since everything was perfect, we plan on returning with more family members.